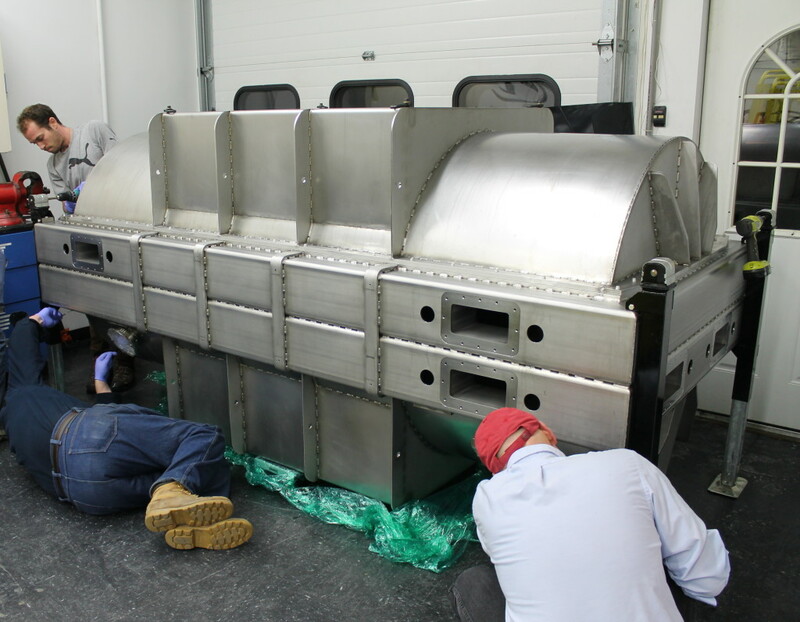 If you have been following the blog up to now, you have seen our discussion of the technical requirements and specifications for our cryostat — the giant, temperature-controlled vacuum chamber that will house the HPF instrument. 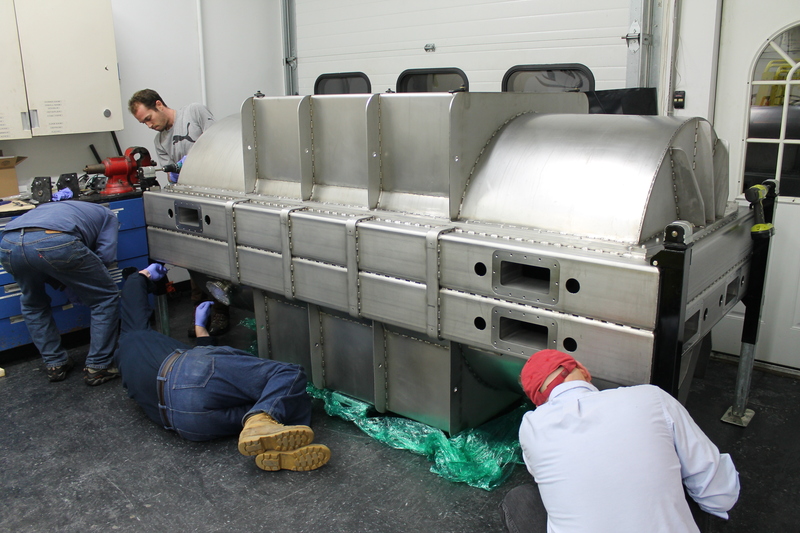 The cryostat has been in fabrication over at Pulseray’s machine shop, and we are happy to announce that all of its major pieces are finished. 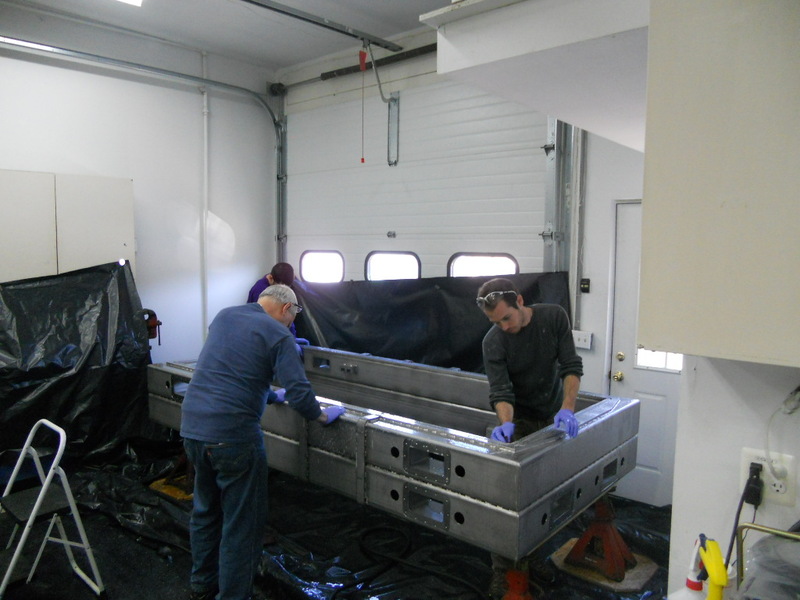 This week, HPF team members Eric Levi, Fred Hearty, and Paul Robertson headed up to Pulseray to give the cryostat a bath. The next step is a leak check to verify its vacuum integrity, so there can’t be any machine oil or debris to gum up the works. The cryostat box frame is scrubbed clean. Some of the nooks and crannies were hiding oil and metal shavings, so Eric flushed them out with a pressure washer. We’re not sure whether the cryostat or Eric got hit with more water. After a full day of scrubbing, the cryostat was fully assembled for the first time. For those of us who have only seen it as a drawing on a computer screen, it was our first chance to appreciate just how huge this instrument is going to be. You can get some sense of this by using the people in the pictures for a size comparison. The Pulseray engineers who fabricated the cryostat were relieved to find that the bolt holes did in fact line up as planned. Bolting the cryostat together for the first time. Once the cryostat passes its vacuum check, we will install the optical bench, the liquid nitrogen coolant tank, and some environment control electronics. After that, it will be shipped down to Penn State, where the real instrument integration will begin. This entry was posted in HPF Hardware, Project Development. Bookmark the permalink.